Rods are designed with rubber covered hooks to attach to the side rails of a lowering device and extend 5' into a grave to prevent jamming during the lowering process. Set of 6. Available sizes: 1/4" x 5'. Aluminum grave boards are maintenance free. They will not rust, dry or rot. Each board will support in excess of 1200 lbs. and weighs approximately 55 lbs. Two boards to a set. Sizes made to Your Specification. made of water repellent heavy duty acrylic tent canvas. Tooth washer metal eyelets spaced every 3-1/2' to 4' apart along all four sides and in each corner. VINYL GROUND COVERS ARE AVAILABLE UPON REQUEST. POLY-PERFECT- LOOKS LIKE REAL GRASS BUT WEARS LIKE IRON. Poly-Perfect grass sets are a rich and natural shade of green. It is fade proof and will not brown or yellow for the life of the set. Ordinary soil can be quickly hosed off - even grease and oil can be removed with any household detergent. Poly-Perfect is light weight and does not absorb moisture. Easy to handle even when wet. It is mildew proof - never needs drying before storage. Soft and pliable in hot or cold weather - Poly-Perfect grass drapes easily around a grave and folds compactly for transportation and storage. The wear-resistant polypropylene olefin fibers and backing are welded together with an inseparable and practically indestructible poly-urethane bond. C272/9 T-STYLE GRASS SET: Includes a 12' x 14' mound cover (in 2 pieces 6' x 14') and a T-style liner-border combination consisting of 2 side pieces 6' x 8' and 2 T-end pieces 3' x 9' with 3' x 3' drops. 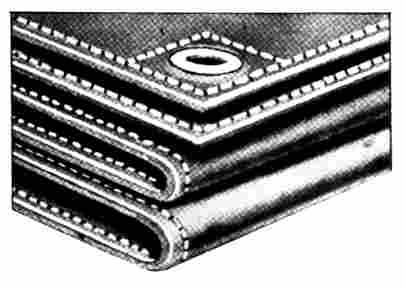 C272/2 MOUND COVER & BORDER SET: Includes a 12' x 14' mound cover (in 2 pieces 6' x 14') PLUS 2 side pieces 3' x 8' and 2 T-end pieces 3' x 9' . C272/6 T-STYLE LINER / BORDER COMBINATION: Includes 2 side pieces 6' x 8' and 2 T-end pieces 3' x 9' with 3' x 3' drops. C272/5 GRAVE BORDER: 2 pieces 3' x 8' and 2 T-end pieces 3' x 9'. 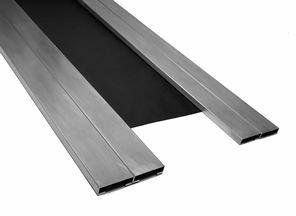 C272/0 SPECIAL SIZES: 3' and 6' widths only - any length. Priced per square foot. Cocoa Matting is an excellent material to use as carpeting in hallways, on walks or to protect cemetery lawns. It is a very practical material to use during bad weather. Available in virtually any length, cocoa matting comes in a natural color. It is available in 36" width. RUBBER OR JUTE BINDING SOLD SEPARATELY PER FOOT. Recommended for use in desert climates. Grass has a thick, velvety pile of 100% Madagascar Raffia. Allows covered lawns to breathe. Securely sewn to a durable burlap backing. Power-dyed to retain its rich green color for the life of the set. Available in Raffia Grass Only. Includes: 8' x 9' ; 2 pieces 4' x6' each and 2 T's. 1-1/2' x 5' with 2' x 2-2 1/2' drop. For graves up to 4' long.